By Allan Fox: Former two division world champion Ricardo Mayorga (31-8-1, 25 KOs) says if IBO/WBA middleweight champion Gennady Golovkin (33-0, 30 KOs) wants a job, he can work as his sparring partner to help him get ready for his fight against former three division world champion Shane Mosley (47-9-1, 39 KOs) on August 29th on pay-per-view from The Forum in Inglewood, California. Mayorga says he doesn’t know who Golovkin is, and wasn’t aware of what weight class he fights in until he was told by the interviewer. “Who are you talking to me about? What weight is he? What does he do? I’m not afraid of anyone,” Mayorga said via Fighthype.com. “I don’t even know who he is. I can use him as a sparring partner,” said Mayorga. That’s the argument that WBC middleweight champion Miguel Cotto’s trainer Freddie Roach had for why Cotto shouldn’t have to fight Golovkin. He feels that Golovkin isn’t well-known enough for boxing fans to want to see him fight, and that he’s never on HBO when he watches boxing. Roach feels that if he doesn’t see Golovkin on TV on HBO, then the casual boxing fans won’t know who he is as well. Mayorga might be serious in saying he doesn’t know who Golovkin is, because Golovkin still hasn’t established himself as a star in America despite having his fights televised on HBO for the last couple of years. Golovkin not being known is all the reason guys like Cotto and Saul “Canelo” Alvarez need for why they shouldn’t have to fight him. Golovkin’s October 17th fight against IBF middleweight champion David Lemieux on HBO PPV should help Golovkin’s popularity a little, but given that it’s on PPV, it probably won’t be seen by more than 100,000 boxing fans at best. It’s not going to do 300,000 PPV buys like Canelo and Cotto’s fights have been doing recently. 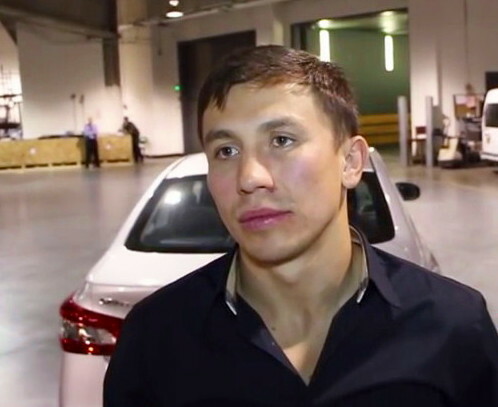 Golovkin doesn’t have a large built in fan base of supporters in the United States like those two fighters do. He has to build his fan base the hard way by looking good and scoring knockouts each time he fights. Golovkin isn’t being given a leg up by Floyd Mayweather Jr. and/or Manny Pacquiao volunteering to fight him like they did with Canelo and Cotto. If Golovkin doesn’t get either of those fighters to agree to fight him soon then he’s going to need to make a decision to move up to 168 to start looking to fight guys like George Groves and Andre Ward in the super middleweight division. Both Groves and Ward are open to fighting Golovkin, as long as he fights at the full weight for the super middleweight division and not at a catch-weight. Golovkin would like to fight middleweights like Andy Lee, Peter Quillin and Daniel Jacobs, but I don’t think those guys see any value in fighting him. Without a huge fan base behind him, Golovkin doesn’t have the name to get the other middleweights to fight him even if he may or may not be better than them. They don’t have any reason to stick their necks out to fight a guy that doesn’t yet have the popularity to make the fight worthwhile. “I’d fight Floyd Mayweather for free, but it would have to be at 154. I can no longer make 147,” Mayorga said. Mayorga and Mosley are trying to drum up support the hard way for their fight on PPV on August 29th. They had an incident the other day where Mosley knocked a cigarette out of the mouth of Mayorga when they were standing eye to eye during a face off for the media. However, the altercation looked totally staged to the point where neither guy seemed believable. It looked like they were both working hard to try and get interest in their fight. If they’re going to interest fans in this fight then they’re going to need to do a lot more to get fans excited about it, because the Mosley-Mayorga fight is taking place on the same night as the Abner Mares v. Leo Santa Cruz fight, and that’s not on PPV. Mayorga and Mosley are going to need to do a lot more to interest fans if they want to pull in a lot of PPV buys for their fight at the end of this month. « Mayweather Jr vs. Berto: Can Andre beat Floyd?